Eastworld Sales Philippines has been servicing the country’s premier hotels, beach resorts, spas, hospitals, and restaurants since its inception in 1988. Over the past two decades now, Eastworld Sales Philippines has become a veritable marketplace for a broad range of personal care products and amenities. 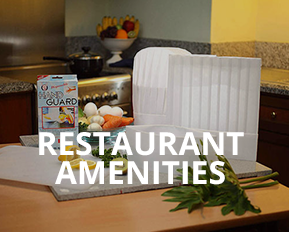 These amenities are directly distributed to hotels and lodging establishments in Metro Manila and major cities like Cebu, Davao, Iloilo, Zamboanga, Laoag City, Bacolod, Angeles, Puerto Princesa and Kalibo. The company aims to keep its customers happy and is committed to delivering a wide range of highest quality products and services to its growing list of more than 2,000 satisfied clients. The company understands the unique procurement requirements of its customers and strives to offer and supply them sophisticated design and packaging products. Each item they provide is meticulously designed, developed and manufactured to suit the growing needs of its customers. The company takes pride in high standards of packaging design, product aesthetics, customized technology and quality materials. Continuous learning, hard-earned experience and advanced technology have enhanced its ability to provide assistance in formulating customized amenity programs and other offerings. In addition, its established and long term relationship with its clientele continues to differentiate Eastworld Sales Philippines and has sharpened its competitive edge within the industry. It is also currently importing high end branded amenities.As the company evolves and expands here and abroad, it will continuously improve its line of products and services to be at par with other market leaders. With unparalleled industry experience and dedicated team members, Eastworld Sales Philippines is here to help meet all your business needs. 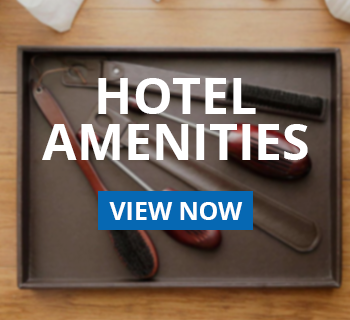 Our mission is to be the hoteliers and clients first choice for luxury amenities, delivering products of outstanding quality and great service at a competitive cost. We aim to provide the best quality of services and products to its business partners in the Hotel Industry. Eastworld Sales Philippines, envision itself to be the Number 1 supplier of Hotel, Resort & Restaurant Amenities. Likewise, together we believe that the best of each of us, enriches all of us. "Our extensive selection of luxury bath and body products, hotel toiletries and amenities will give you the edge in creating wonderful memories with your clients. Thus, SUPPLYING QUALITY PRODUCTS IS HABIT to us." With his excellent verbal communication skills and high level of proficiency and interpersonal skills, he is able to lead and motivate a team. Over the years, he has been responsible for the growth, stability, direction and everyday operation of the business. Leading a business development team as well as having overall responsibility for his company’s growth. This is done by developing customer awareness of the company’s products and services and identifying new corporate partners and customers.